Thomas joined our team in 2018 and is has dedicated his time and energy learning the business allowing him to be a valuable resource for his customers. 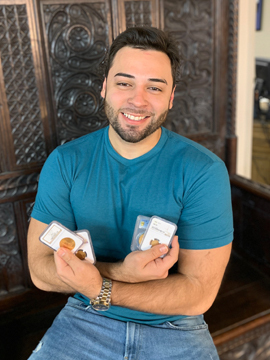 He can be seen traveling to almost every major coin show and has a genuine passion for learning and selling numismatics. He utilizes new tools to communicate with his customers and is highly motivated to help you in any way.